With a simple but bold and colourful design, the lunch box is ideal for taking into work, school, or out on a day trip. The bright and cheerful purple top sits on top of a green bottom, and both are kept securely fastened together with a stripy elastic ribbon. 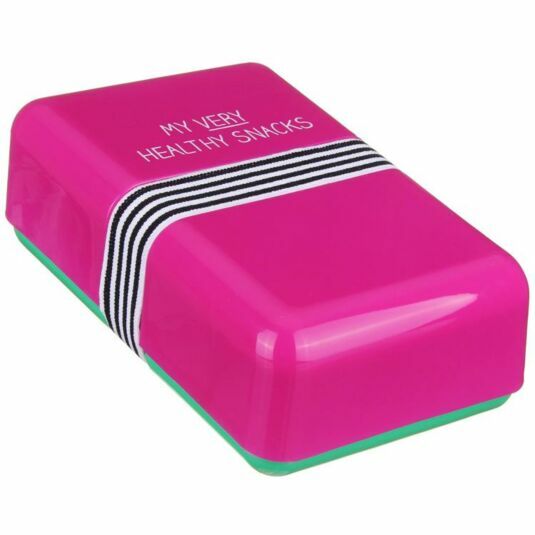 The fun lunch box reads: "My Very Healthy Snacks" on the top, followed by "(no peeping)" in the groove underneath the elasticated band. 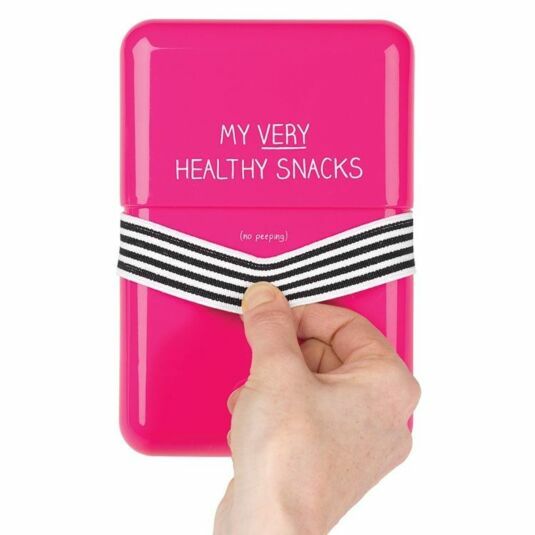 A must have for anyone who likes their packed lunch with a side helping of joy.